Easter is only days away, do you know how you’re decorating your eggs? How about Gold Easter Eggs? The possibilities are endless and there is much fun to be had. Yesterday I shared a simple napkin decoupage eggs which are also fun and simple to do. 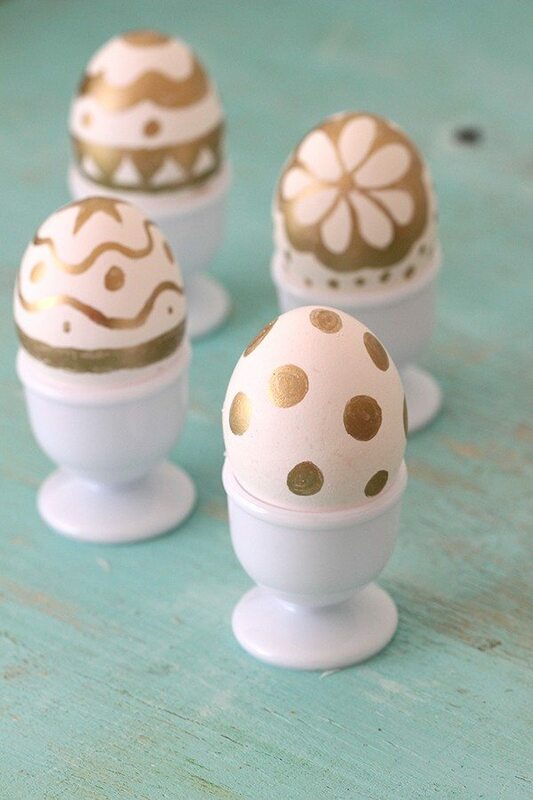 Then, if you’re a big gold glitter fan, these eggs are another favorite pick. 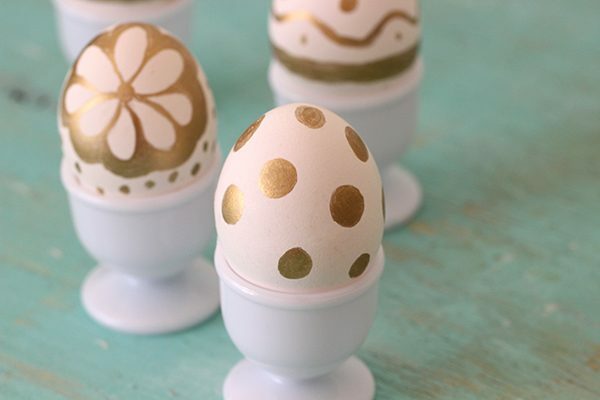 To add a pop of gold to your eggs, this awesome paint pen will get you there in just a few short minutes. This post contains affiliate links.
. Can’t wait to play around with even more. Seems like the possibilities are endless for creating awesome-ness. The first thing that I made with it was the Gold Confetti Drinking Glasses I shared last week. After getting the swing of controlling the flow of the pen, the result was pretty amazing! Now on to making Gold Easter Eggs! The gold pen seems to work best when you don’t have too much paint flowing through it. It can easily get drippy in my experience. The less “paint” flowing through the easier it is to manipulate designs with it. Just dab it on a paper towel if needed to reduce to flow. My best advice? Just let your creativity flow and have a great time making something unique! What are some other ways you could make gold Easter eggs?